Flipping the Script: Court holds that a Lender can sue a Borrower for Unfair and Deceptive Trade Practices - Ward and Smith, P.A. Recently, in Makadia v. Continental Waste Management, LLC, the United States District Court for the Eastern District of North Carolina considered a matter that may have caused a double-take. The case involved a dispute between a lender and borrower and a claim under North Carolina's Unfair and Deceptive Trade Practices Act ("UDTPA"). What may have caused the double-take? The lender brought the claim against the borrower. Lenders are all too familiar with UDTPA claims asserted against them by borrowers seeking leverage in disputes over their obligations. But can a lender bring this claim against a borrower? Yes. Dinesh Makadia, an individual and private lender, loaned $1 million to Ujas Patel and Continental Waste Management, LLC. Patel, as CEO of Continental, signed a promissory note to evidence the loan. Under the deal terms, Continental was to use the proceeds to purchase two waste management plants, with the plants serving as collateral for the loan. After signing the note, Patel told Makadia he had purchased the plants. This turned out to be false, but Makadia disbursed the loan proceeds without confirming the purchases. Patel strung Makadia along for some time about the purchase, but in the end Continental never purchased the plants so Makadia acquired no real estate collateral. When Makadia discovered the purchases had not closed, he demanded repayment. Continental refused. When the note matured, Continental had made only a single payment of $150,000. Makadia sued under breach of contract, conversion, and violation of the UDTPA. Continental moved to dismiss the conversion and UDTPA claims. Continental argued that the "economic loss rule" precluded the claims because this was a contract dispute. In general, the economic loss rule provides that a breach of contract does not give rise to a tort action. But an exception exists if the injury involves a conversion of property by a party to the contract. Makadia alleged that he retained an ownership interest in the money loaned to Continental. When Continental failed to purchase the plants, it had no right to keep the money. The District Court held the conversion allegations survived a motion to dismiss. The District Court reached the same result on the UDTPA claim. North Carolina's UDTPA prohibits unfair methods of competition in or affecting commerce. To state a claim under the UDTPA, a plaintiff must allege: (1) an unfair or deceptive act or practice, or an unfair method of competition, (2) in or affecting commerce, (3) proximately injuring defendant or defendant business. Generally, a mere breach of contract, even if intentional, is not sufficiently unfair or deceptive to sustain such an action. Aggravating circumstances, however, can elevate a breach of contract into an unfair and deceptive practice if the conduct of the breaching party is deceptive. A practice is deceptive if it possesses the tendency or capacity to mislead, or creates the likelihood of deception. 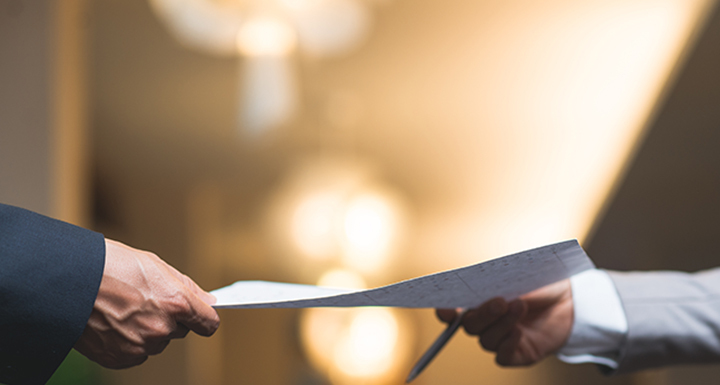 The existence of independent intentional torts also may constitute the required aggravating circumstances to elevate a claim based on breach of contract to one for unfair and deceptive practices. Because Makadia alleged both the existence of an independent intentional tort – conversion – and intentional deception by Continental and Patel, the District Court denied their motion to dismiss the claim. The Court considered this matter under a Rule 12(b)(6) motion, so its job only was to determine the legal sufficiency of the allegations. The Court did not decide the merits. Makadia still must prove his allegations to prevail in his lawsuit. Nevertheless, the decision shows that UDTPA claims are a two-way street. Lenders – often accused of lender liability – now have a decision they can brandish under certain circumstances to assert "borrower liability." The decision offers another lesson: Banks and institutional lenders should have closing requirements and safeguards in place to prevent disbursement of loan proceeds unless the borrower meets all the loan commitment terms and conditions. Individual lenders should retain competent counsel so they can have these same safeguards and avoid becoming the victim of an unscrupulous borrower.